Home/Posts/Youth Pastor Diet/Youth Pastor Diet is Almost Here! 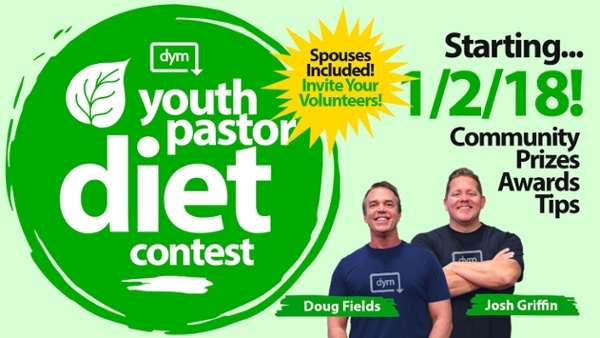 No one likes to diet… but this 90-day contest will make something that’s normally no fun (like church staff meetings)… become a lot of fun. With lots of people in our youth ministry tribe becoming healthier leaders together… we’ll share laughter, great stories, and some helpful motivation on our private Facebook page. Invite your spouse or a couple key volunteers to join you. And … the winner from both the Male & Female category gets $500! Don’t wait… click here now… let’s do this! You’ll be glad you did.